Last night’s challenge was called Piggy Back. The cast was divided into two teams: The Purple Team that was selected by Johnny and The Yellow Team that was selected by Camila. The goal of the challenge was to form a human bridge and climb across all of your teammates to get from on side to another. Team Purple goes first and quickly discovers two things: this challenge is waaaay harder than anticipated and Devyn has no upper body strength. Ultimately, six of the teammates fall and only four cross. The Yellow Team also struggles, and eventually ends up with four players across as well. Despite the fact that Preston crossed for the Yellow Team, he didn’t touch every rope and is disqualified giving Team Purple the victory. The Purple team gets together and decides it’s time to take out big competitors. 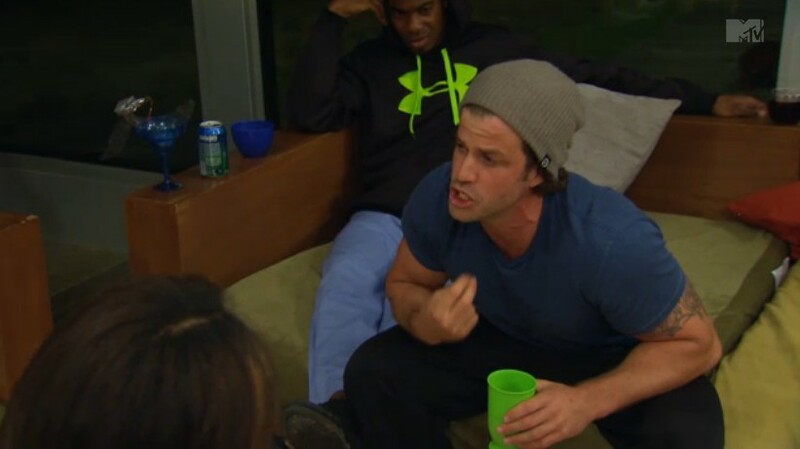 Cara Maria is eager to vote out her nemesis Johnny Bananas, and Jordan seconds that notion. Come vote time, Jordan cast the final vote that secures Johnny’s place in elimination and tells Johnny it’s time to “earn his stripes;” a phrase Johnny is notorious for using when sending rookies into elimination. Theresa orchestrates a plan to get Laurel voted in for the girls. She able to convince enough people to vote for Laurel, and Laurel is sent in for the girls. Theresa was so convincing and got Laurel the majority vote. By the time it was her turn to cast a vote, Laurel’s fate was secured, so Theresa voted in Jasmine and kept a target off her back. Devyn is angry, and immediately runs to Laurel to make sure Theresa does not get off scot-free. This pisses off Laurel, who now wants to battle Theresa. The Draw claims Jasmine and Isaac as its victims to play Balls In. Jasmine knows she doesn’t stand a chance because Laurel is nearly double her size… and she’s right. Laurel sends her home with ease. Isaac has to face Johnny, and tried his best to put up a fight, be he is no match for Mr. Bananas. After winning Balls In Johnny tells Jordan that when they face off he won’t just be missing a hand; he’ll be missing his head. Jordan is amused, and promises Johnny that he will personally take him out next time Johnny loses. Yet Johnny doesn’t seem intimated because he claims Jordan has done nothing since landing in Uruguay. ← Is Jordan The Alpha Male? Whoa, I couldn’t believe what Johnny said to Jordan. So out of line. 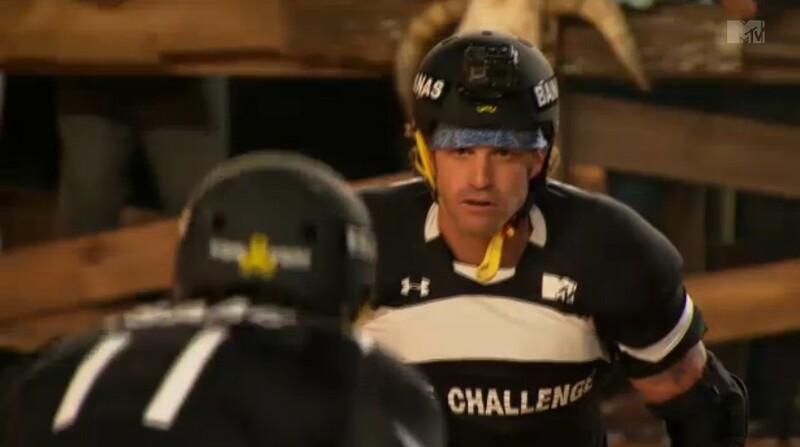 Even though Isaac didn’t do well in any of the challenges so far, I still sorry to see him go. I was glad to see him back on the show. Oh, Jazzy. I felt so bad for Jasmine and you could tell that Laurel felt poorly about the situation, as well. I like both Jasmine and Laurel and though I’m glad to see Laurel stay, I kind of wish that they could have done a puzzle or something to at least give Jasmine a fighting chance.